Moderate forces are hoping for a strong victory in February’s 290-seat parliamentary race to ensure implementation of the nuclear accord and improve the chances of Mr Rouhani’s re-election in 2017. But the composition of the next Experts Assembly may prove more vital for Iran’s future. 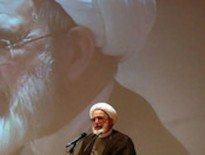 The 86 senior clerics in the assembly could name the successor to Ayatollah Ali Khamenei, the 76-year-old supreme leader and ultimate decision maker, if he passes away during their eight-year tenure. Mr Khomeini’s candidacy will be watched closely. His lineage makes it difficult to disqualify him but hardliners could try to weaken him by barring many moderate allies, analysts say. Many Iranians remember photographs of him as a child — unusually blond as for an Iranian — standing next to his grandfather. Mr Khomeini, who went to the Qom seminary when he was 17, has presented himself as a big fan of football, the most popular sport in Iran. Until now, his public profile has been largely limited to annual speeches on the anniversary of the death of his grandfather. In recent years, his speeches have been disrupted by hardliners. He has previously said that Iran’s youth misunderstand his grandfather’s aims and that his legacy should be revived. 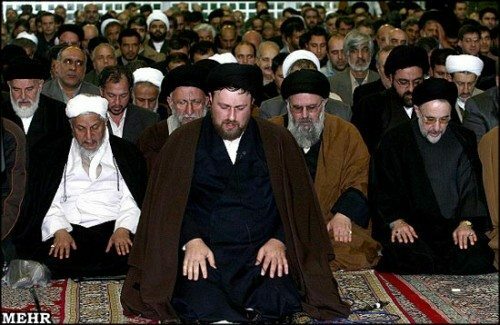 Whatever else, reformists hope Mr Khomeini’s participation in the election will encourage turnout. Low numbers could favour hardliners whose supporters are more organised.